Podcast Episode 34 now online! Episode 34 of Joe's Tango Podcast is now online! 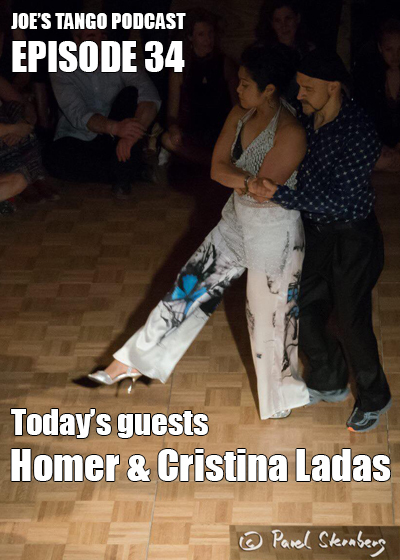 In this episode, we'll meet Homer and Cristina Ladas. Based in the Bay Area of California,These two are well-known worldwide. It was another fun, eye-opening interview, and you can listen for free on iTunes, Soundcloud, or Stitcher. Please take a few seconds to subscribe, give it a 5-star rating, and a positive review (on any or all of the above mentioned sites). This makes it easier for new listeners discover the podcast. Thank you!